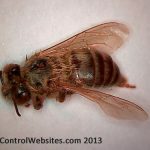 (Apis mellifera scutellata) Africanized "killer" bees looks so much like a regular honeybee that the only way to tell the two apart is by measuring their bodies. 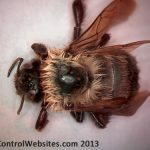 Africanized bees have different wing measurements than honeybees. (Subfamily bombinae; bombus species) Bumble bees are beneficial insects because they pollinate crops and plants. (Apis nekkufera Linnaeus) Honey bees are social insects found all over the world. They are an extremely important beneficial insect because of their role in pollination. 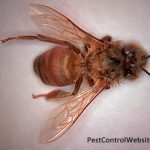 Honey bees pollinate more than 100 crops in the U.S.
(Culex species and others) One of the best known summer pests, mosquitoes breed in stagnant water or soft soil and can develop from egg to adult in 10 to 14 days. (Vespula spp.) There are several species of yellowjackets. 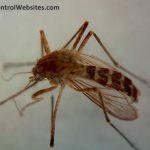 These flying insects typically have a yellow and black head/face and patterned abdomen. Many say, the pattern resembles stripes. 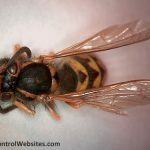 Signature to species, the abdomen pattern can help an entomologist or pest professional identify specific types of yellowjackets.